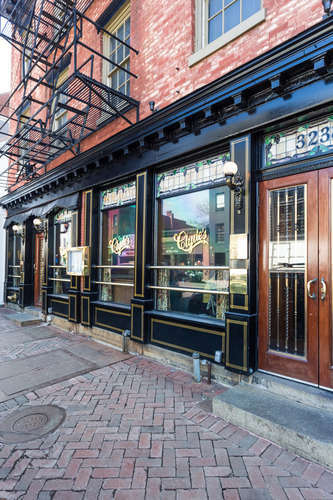 Georgetown, an historic neighborhood located in Northwest Washington, D.C., is nestled along the Potomac River. 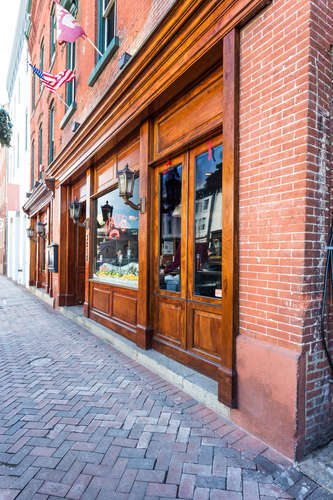 Founded in the state of Maryland in 1751, the port of Georgetown was established 40 years before the federal district and the City of Washington. 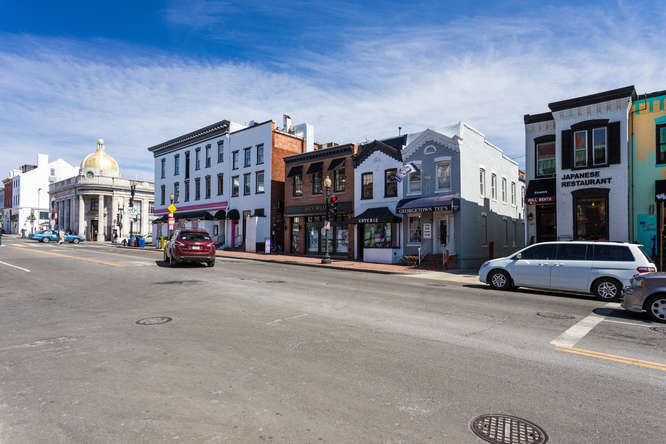 In 1871, the United States Congress created a consolidated government for the entirety of the District of Columbia and in 1895, specific legislation repealed Georgetown’s remaining ordinances and renamed streets to conform with the rest of the city. Frequented by the likes of George Washington, Thomas Jefferson, and their contemporaries, Georgetown can pride itself in having been a cradle for the birth of the new Republic’s government. Initially dominated by waterfront industry, Georgetown’s character began to rapidly change as waterways became clogged with silt. Efforts were led to dredge the silt, but the cost was prohibitive and Congress took little interest in the projects. Instead, energy and resources were put into railroads and the waterfront of Georgetown became more industrial. Shipping trade dried up in the time between the Civil War and the first World War and, as a result, many of the older homes were preserved with very few changes made to them. 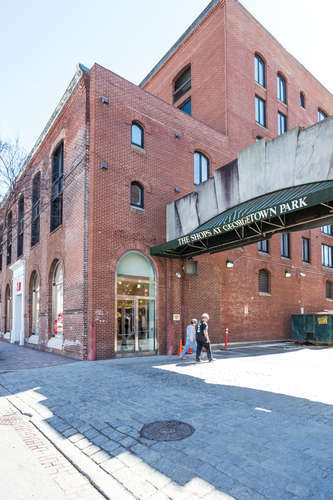 As early as 1933, efforts were put into place to preserve Georgetown as an historic district. 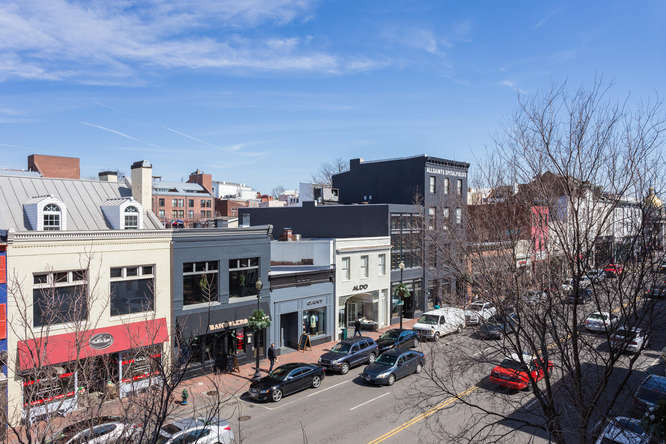 Public Law 808 was successfully passed in 1950, officially establishing the district of “Old Georgetown.” The new law required that the US Commission of Fine Arts be consulted on any alteration, building construction, or demolition within the historic district. Modern Georgetown is a commercial, historic and entertainment district. 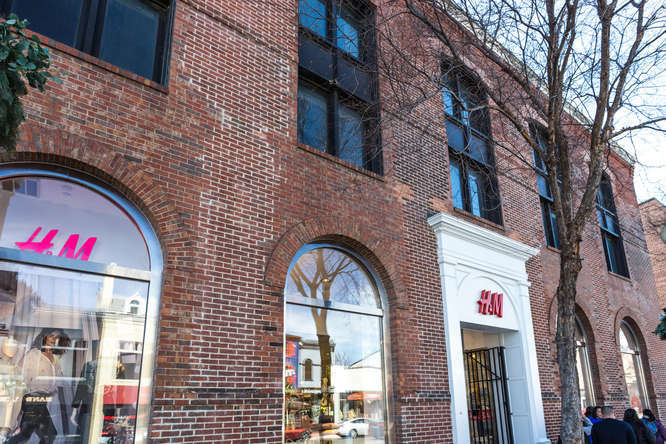 Commercial activities primarily center around the intersection of Wisconsin Avenue and M Street and contain high-end shops, restaurants, bars, Georgetown Park’s enclosed shopping mall and the Washington Harbour waterfront. 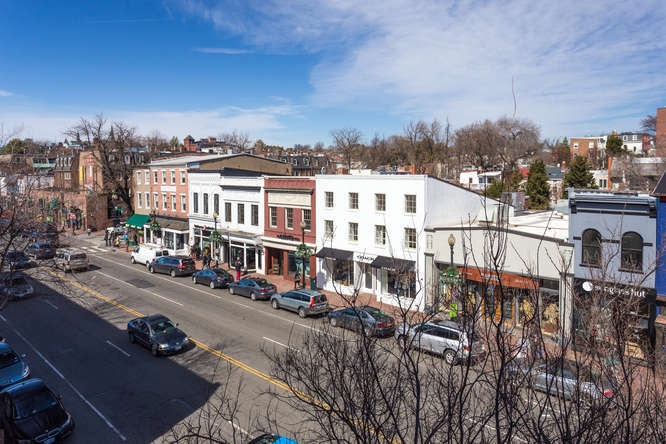 The neighborhood is also home to the main campus of Georgetown University and the embassies of Thailand, Sweden, Mongolia, France and the Ukraine. Within Georgetown’s boundaries are many historic landmarks, including but not limited to, The City Tavern Club, built 1796, The Forrest-Marbury House where George Washington met with local landowners to acquire the District of Columbia, the Oak Hill Cemetery where Abraham Lincoln’s son Willie is interred, The Old Stone House, built in 1765 and the oldest structure in Washington, D.C., and the Volta Laboratory and Bureau, created by Alexander Graham Bell as his first formal research laboratory.